Background Reports suggest that rickets is an increasing concern among children in the UK, despite national recommendations for vitamin D supplementation during pregnancy and early childhood. However, there is limited epidemiological data to quantify these concerns, existing studies being limited to regional case series. Methods Prospective national surveillance of hypocalcaemic seizures secondary to vitamin D deficiency in children aged 0–15 years, across the UK and Ireland via the British Paediatric Surveillance Unit (BPSU) system. We report results for the first 13 months of surveillance (September 2011 to September 2012). Results 70 case notifications were received; 44 were confirmed cases, 6 probable cases, 17 reported in error or duplicates, and 3 unconfirmed cases for which details are pending. 90% of the 50 confirmed and probable cases were infants (n = 45), with three cases aged 1 year (6%) and two aged 14 years (4%). This equates to an incidence of 5.2 per 100,000 in infants. There was a male predominance of 76% (n = 38). 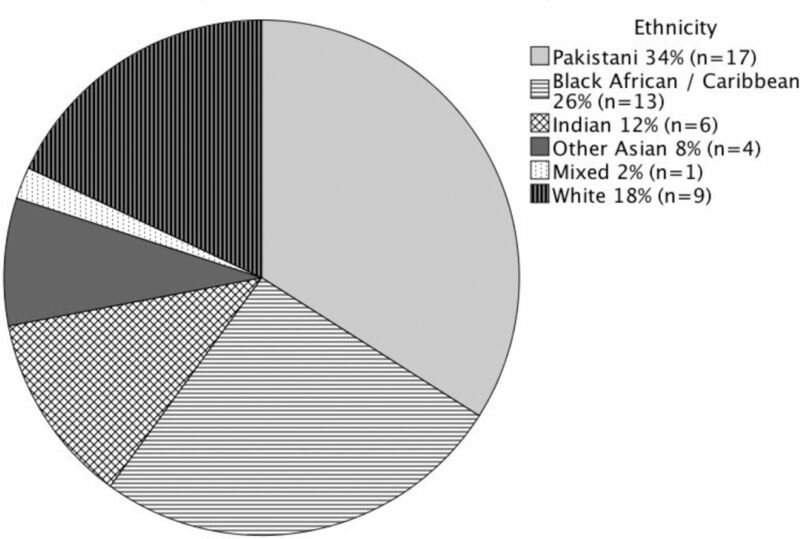 Ethnic distribution of cases is shown in the figure 1. 60% of children (n = 30) had multiple seizures, and 24% (n = 11) had seizures lasting > 10 minutes. 66% of cases did not exhibit any other clinical features of vitamin D deficiency (n = 33), 26% had clinical rickets (n = 13), and 8% had failure to thrive (n = 4). None of the children had fractures or intracranial haemorrhage. I.v. calcium gluconate was given in 48% of cases (n = 24) and anti-seizure medication in 26% (n = 13), with 42% (n = 21) not receiving any acute treatment. There were no deaths, and only one child had sequelae on discharge; an extravasation burn from i.v. calcium gluconate. Conclusions Although a relatively uncommon presentation of vitamin D deficiency, between September 2011 to September 2012 approximately one child has a seizure secondary to vitamin D deficiency per week in the UK. This suggests that current implementation of public health policy is not successful at preventing complications of severe vitamin D deficiency in children. Further studies are required to investigate the epidemiology of rickets more broadly in the UK.